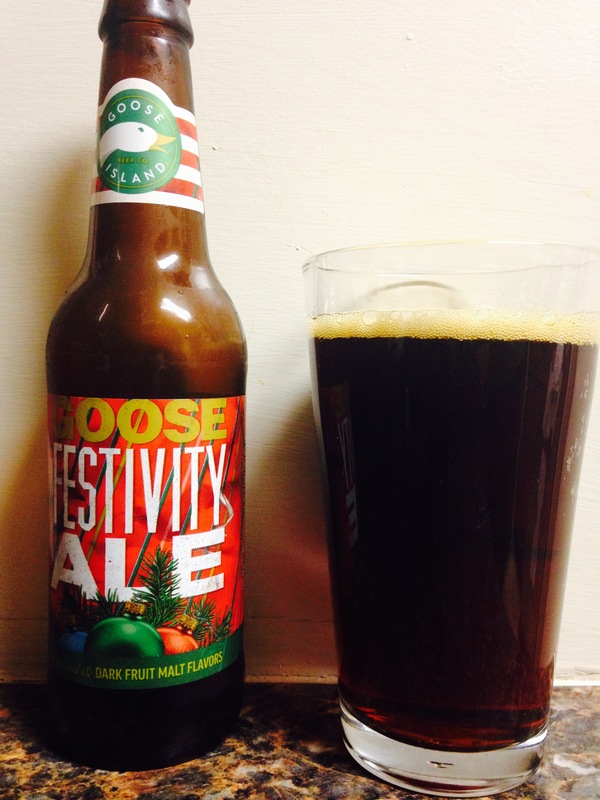 Goose Island “festivity ale” has a dark chocolate color, smells like a Christmas fruit cake and tastes like caramel. It has a 7.7% alc content as well. If you like dark, caramel, malty beers…then this is for you. Me, I give it a 2.5 stars, I’ll drink this one but will probably pass on another.